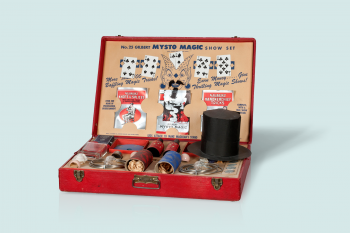 The Ashmolean museum in Oxford has undersold its new exhibition, “America’s Cool Modernism”. It promises a group of American painters and photographers from the inter-war years, from “O’Keeffe to Hopper”, as the subtitle boasts. Both of those giants are present, but the principal thrill here lies in other work, less known, and in many cases never exhibited outside of the US. 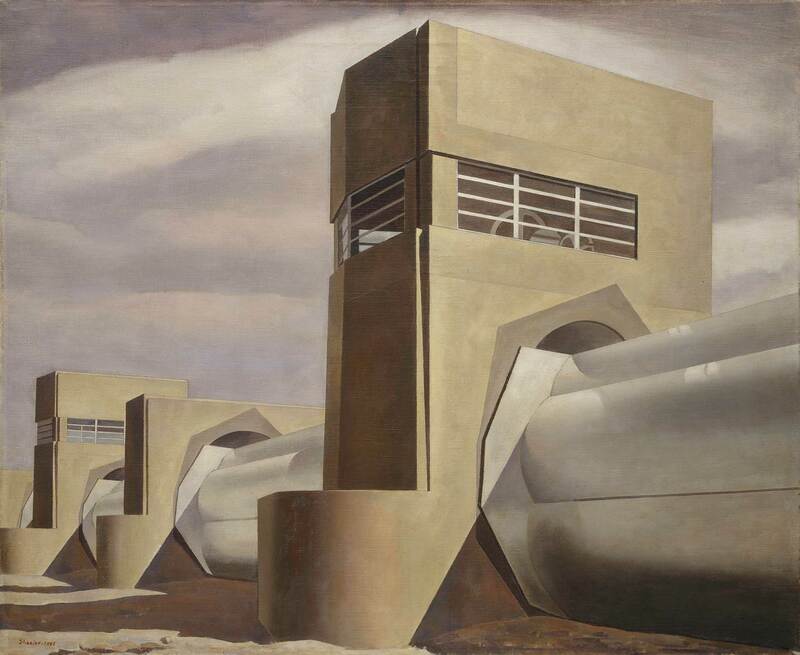 Even if you’ve had the good fortune to encounter Charles Sheeler or Charles Demuth in American galleries, it won’t prepare you for the cumulative effect of seeing so much of their work, and that of kindred spirits, filling three large rooms. 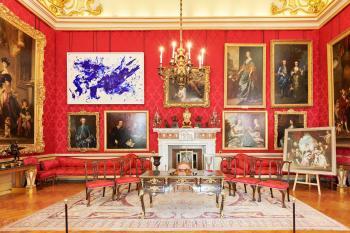 Their art casts modernism in a new light. Originating in Europe in the late 19th century, modernism was an artistic movement that responded to a world transformed by industrialisation, dramatic social upheaval and advances in science and technology. 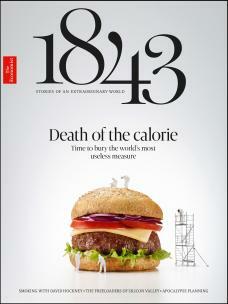 It changed culture as profoundly as the industrial revolution did society. Writers, composers and artists rejected the stolidity of the bourgeois middle classes, with their complacent faith in progress, and devised new and audacious artistic languages that articulated a sense of anxiety, exhilaration and terror. Soon enough these visionaries found themselves responding to a continent both riven by, and turning away in horror, from the first world war. American artists reacted to modernism on their own terms. Most of them had visited its epicentre, Paris, in the aftermath of the war, and taken on board modernism’s abstractions and broken viewpoints, its repudiation of naturalism and its conceptual twists. Yet just as European modernists broke with the past, many outstanding American artists broke with Europe. 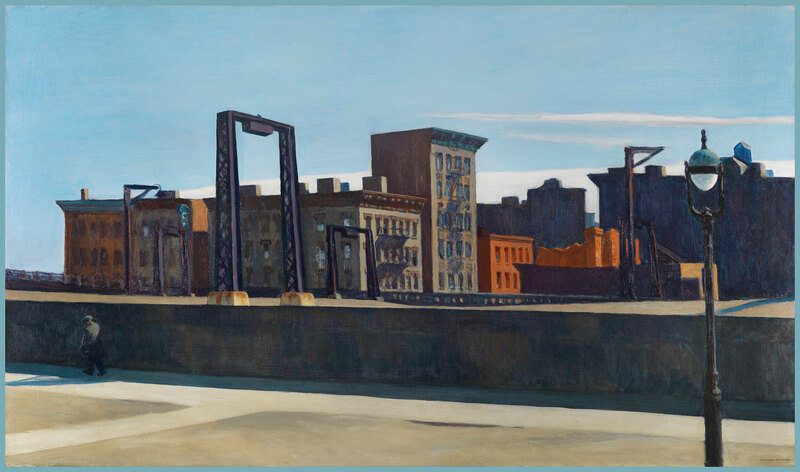 Edward Hopper, Grant Wood, Demuth and Sheeler developed a style of painting – precisionism – so smooth, so clean, so meticulous in technique, that “cool” is the exact word for it. 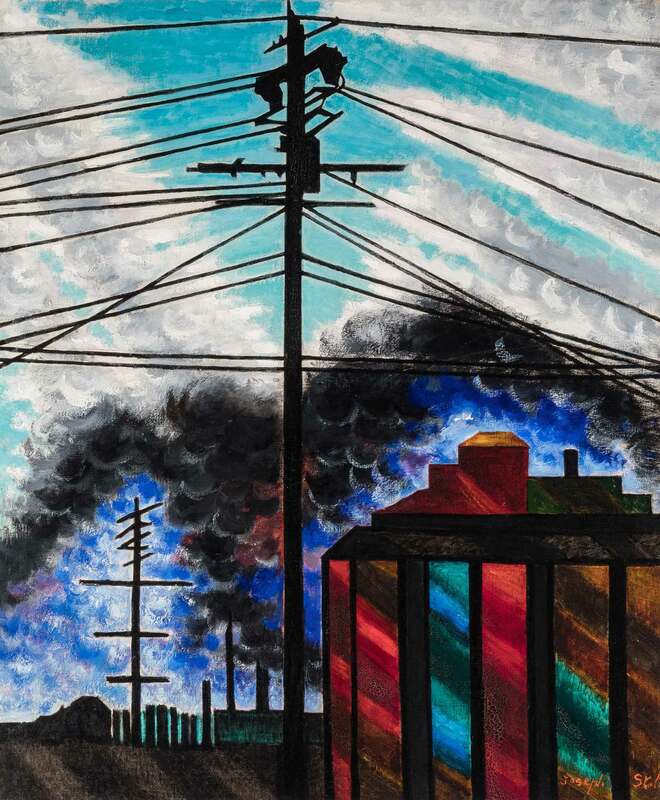 Even when these artists evoke the dynamism of Italy’s breathless, technology-obsessed futurists, with their paintings of factories, bridges and streets, or the disaffection of the expressionists, with their melancholy scenes of empty city streets, they do so with a strange serenity absent from their European counterparts. Their work is seldom frantic, and never visceral. The most striking thing about the show is the near-absence of the human figure. We see land- and cityscapes, structures and objects, but people almost never, and when they do appear they are shadowy or tiny. This is an art of places and things, unnervingly deserted, a New World echo of the eerie atmosphere in the paintings of Giorgio de Chirico, the Italian forefather of surrealism. 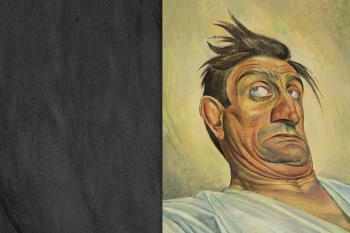 It is often hard to gauge what these artists felt about the scenes they depicted. Pieces that, according to their labels, represent fear or alienation or perhaps the dehumanisation wrought by the city and machine, might just as easily be viewed as proud statements of awe and confidence. Either way, in sharp contrast to a battered and traumatised Europe, the America they show is one that has clearly risen in power and splendour, the colossus of the 20th century. Strand, a photographer, is one of the outstanding figures in this exhibition. 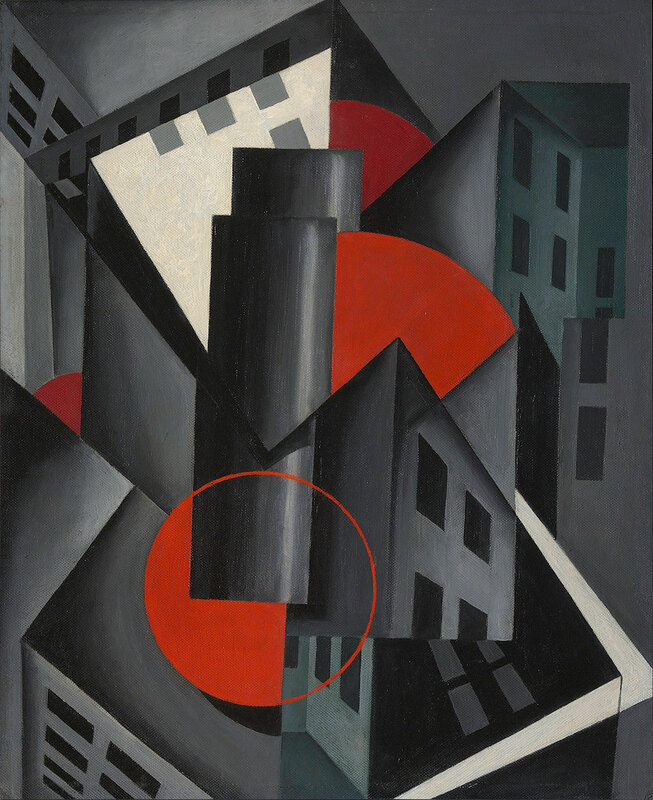 He collaborated with Sheeler on what is billed by the curators as America’s first avant-garde film, “Manhattan” (1921), a poetic celebration of the island as the ideal city, modern and industrial. This picture is part of a photographic series in which he attempted to unpick the methods of cubism – its way of flattening out planes, as if seeing them from every angle at once – using found objects and light. It is hung in the exhibition’s first room, which is full of intriguing curios that predate (and in Strand’s case, anticipate) precisionism: “Sound” (1919), an abstract painting depicting music as colour by the poet e. e. cummings; the photographer Edward Steichen’s bright, geometric painting “The Sunflower” (1920); and most notably, Marsden Hartley’s “Painting No. 50” (1914-15), the earliest piece here, which in its abstract depiction of a teepee exemplifies the American movement’s insistence on spotlighting – literally, in this instance – native subjects. Black telegraph wires divide the smokey, dirty factories from a cloudy turquoise sky above. Stella’s painting, which mixes the beautiful with the grim, foreshadows the ambivalence of American precisionists towards modernity itself. Before Hopper created his famous portrayals of human loneliness, he made a series of paintings in which he captured the loneliness of urban settings. 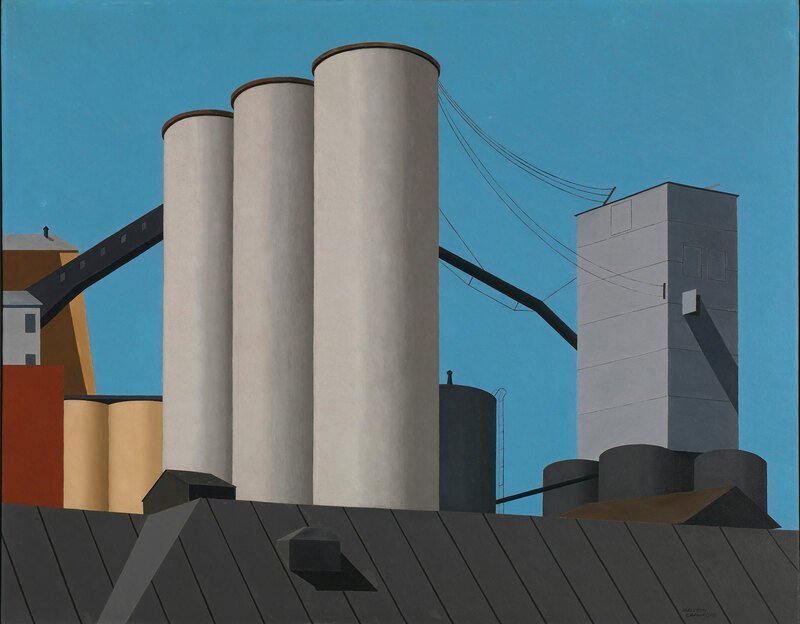 These pictures, made during the 1920s, may be considered among the founding documents of precisionism, and they showcase the techniques other artists would later refine: the return to naturalism, the sharp brushwork and geometric composition, and the use of smooth planes of light and colour to establish structures as the central characters in largely unpeopled images. Here, a solitary workman emphasises the emptiness of the vista. Lozowick was born in Russia, and you can see the influence of constructivism, a Russian style of abstract, geometric art inspired by modern technology, in this vivid, menacing painting. Lozowick’s industrial buildings and structures seem as if they are about to devour the city. 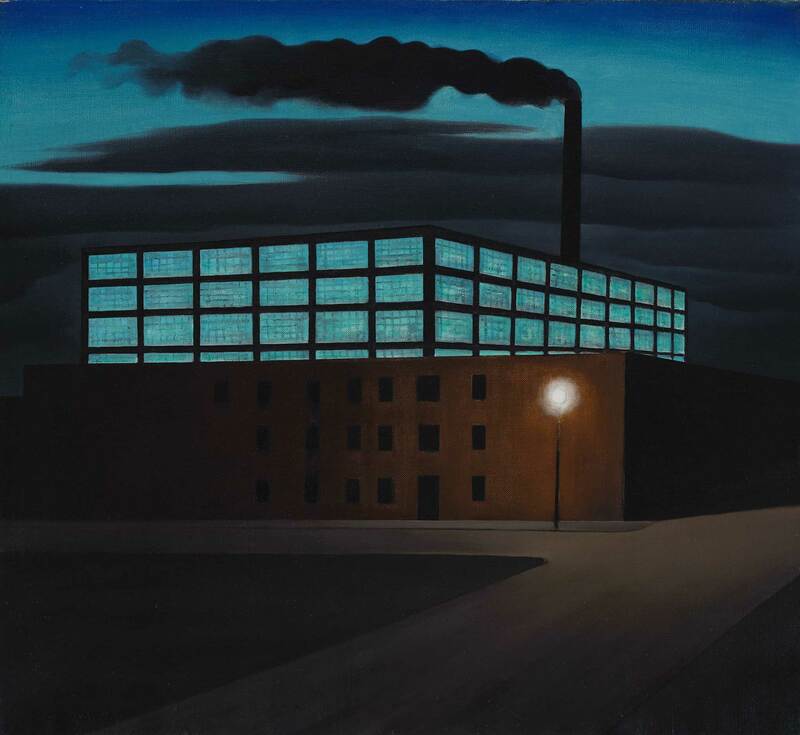 In Kelpe’s painting, a blank human operator all but vanishes into vast, orderly machinery, a theme that would recur in the art of the age, as in Charlie Chaplin’s classic film “Modern Times” (1936). 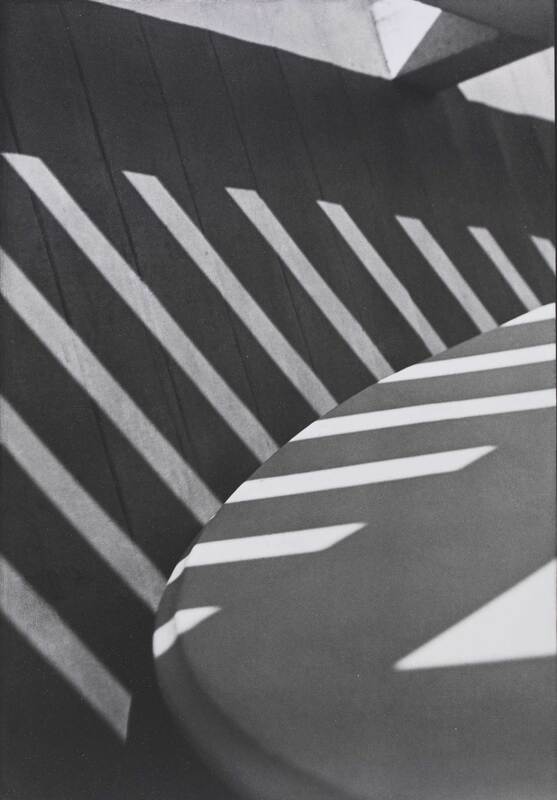 This could be an update of Stella’s painting above, seen through the lens of precisionism. 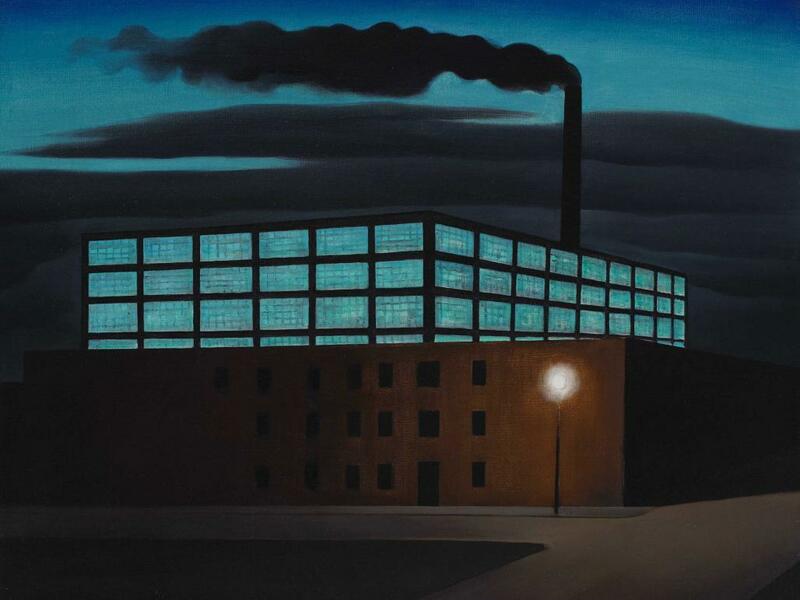 Deserted by everything but light – the single, glowing streetlamp, the blue windows that mirror the twilit sky – Ault’s factory is mysterious, at once alluring and unsettling. 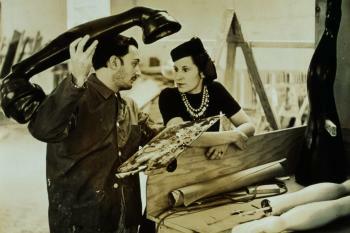 Dove and his partner Helen Torr pursued a semi-abstract style inspired by nature, similar to that of Georgia O’Keefe, who veered away from precisionism’s usual concern with the man-made. 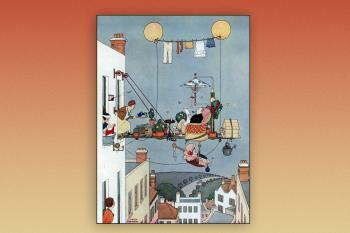 At times childlike and primitive, their work could also show flourishes of delicacy. 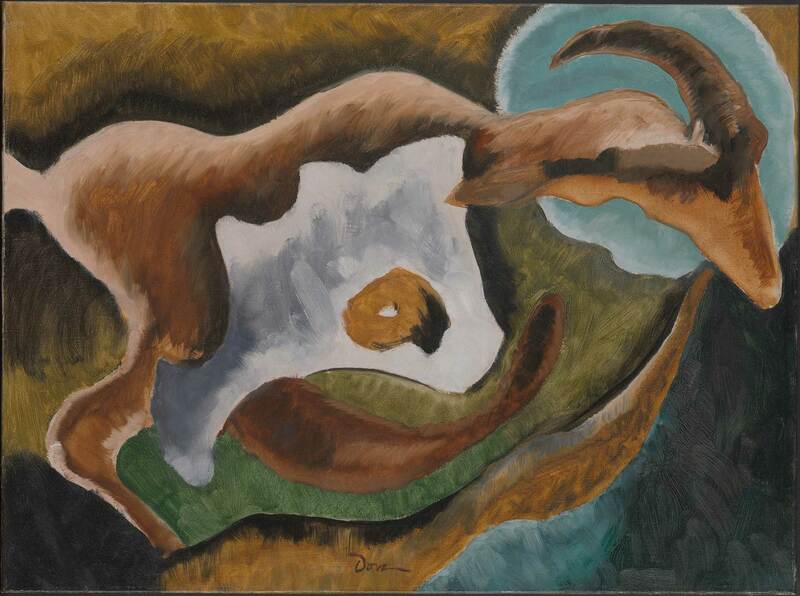 Here, Dove’s gently rippling goat evokes the mountains, colours and sky of the American south-west. 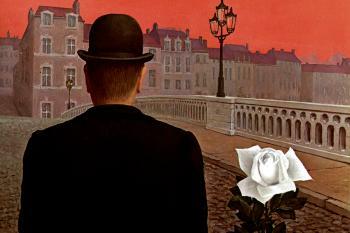 This painting is the epitome of precisionism. It’s also typical of the way artists working in this genre depicted rural scenes with the same visual vocabulary they used for urban ones. The effect is to reveal modern agriculture for what it is: a huge industry in which the human element is all but invisible. Again, where one viewer might recoil, another might see beauty. The title is, in every sense, a dry one. There is not a drop in sight in this hot, arid, dusty scene occupied by a gargantuan water distribution centre. 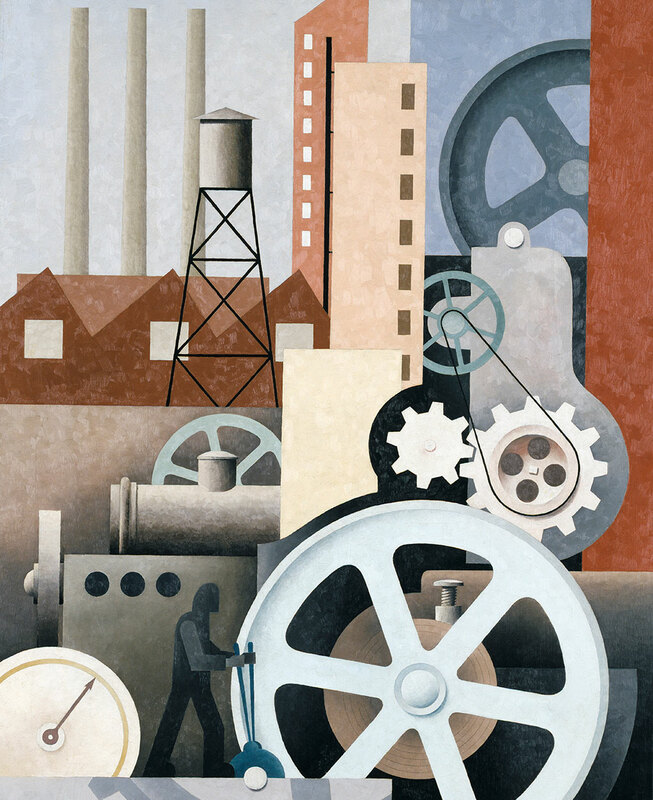 Sheeler captures with scrupulous dispassion the might of heavy industry, and its brute indifference to the life it sustains.